My Chaparral and my Voyager are great friends. 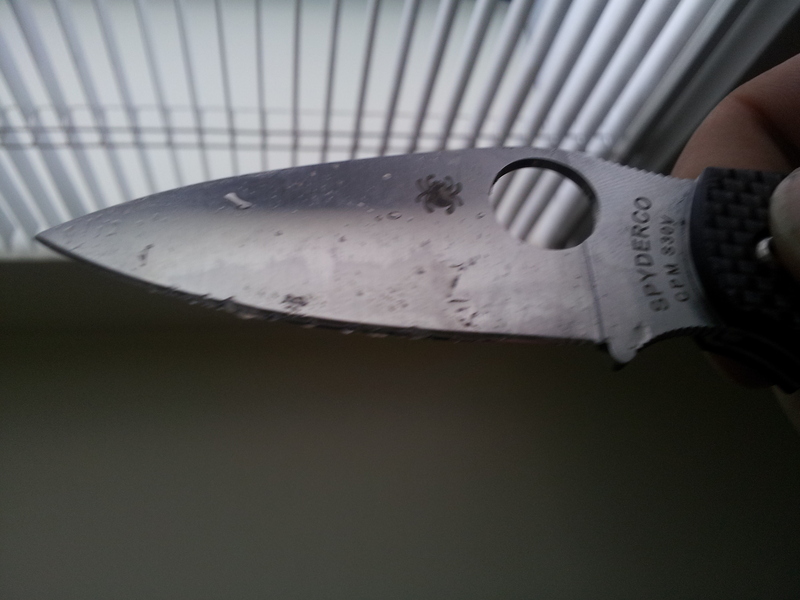 A convexed edge for a better sharpness. 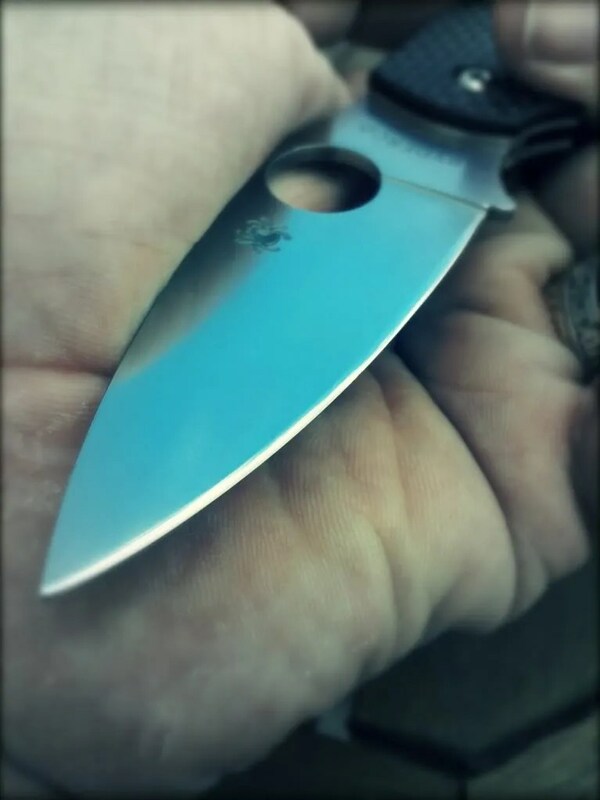 Spyderco Chaparral. – Gentleman extra flat companion. The Chaparral is the new true gentleman folder designed by Sal Glisser. Is it destined to be proposed with various handles. 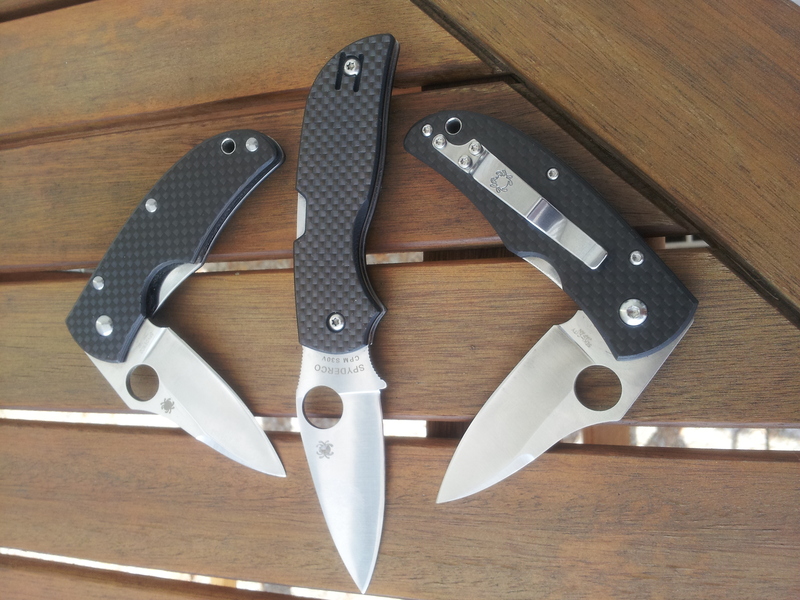 The first batch was supposed to be titanium but due to some delays the carbon fiber handle version get released first. What amazed me on that little jewelry is the flatness of the overall design and the smoothness of the operations. I read somewhere (I think it was Paul the Deacon who wrote that) the Chaparral was an alternative to the Michael Walker. 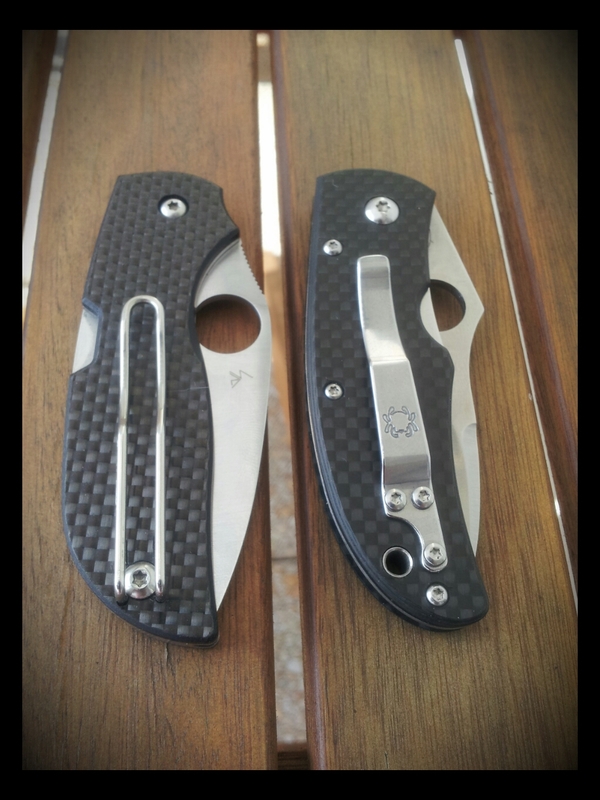 It is ambidextrous and even smoother, flatter and its wire clip is much better than the metal one on the C22. The Chaparral is inobstructive and sleek design. The CF handle give you perfect retention. It’s a joy to operate. Like all Taichung release this a jewel. No blade play in any direction. A hidden pin mechanism has been added to the pivot to strengthen the lock and can be felt during opening and closing. 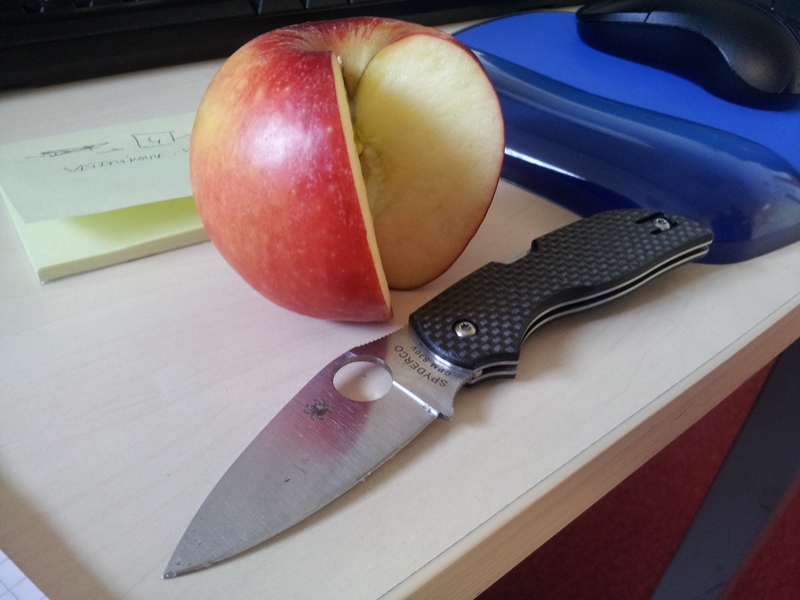 The knife despite its ultra thin feel very solid. 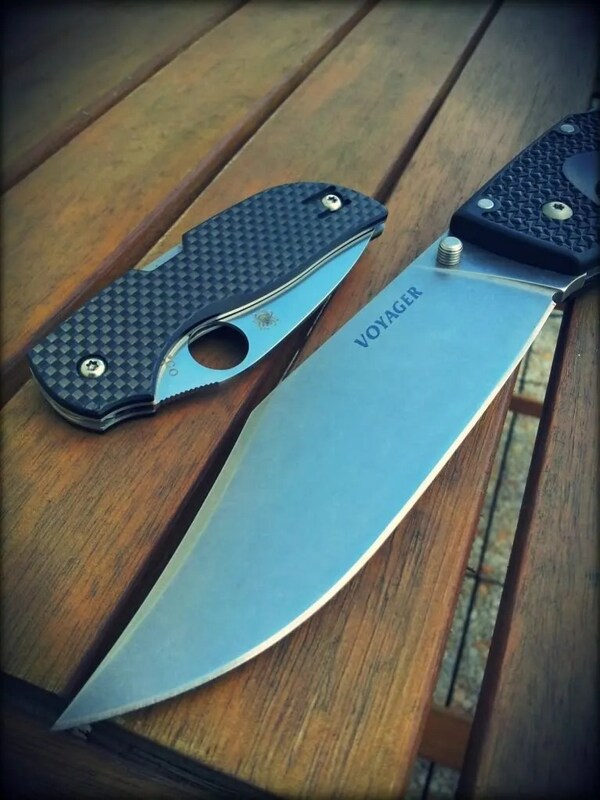 Compared to my beloved C22 Michael Walker, well it’s almost beats it but on the edge, the steel, the blade to handle ratio. 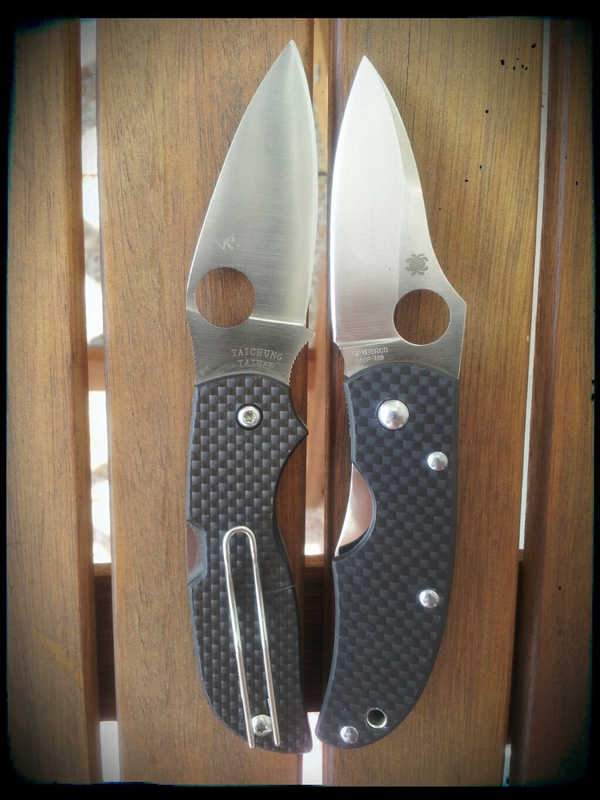 Two great knives for sure but with different performance. 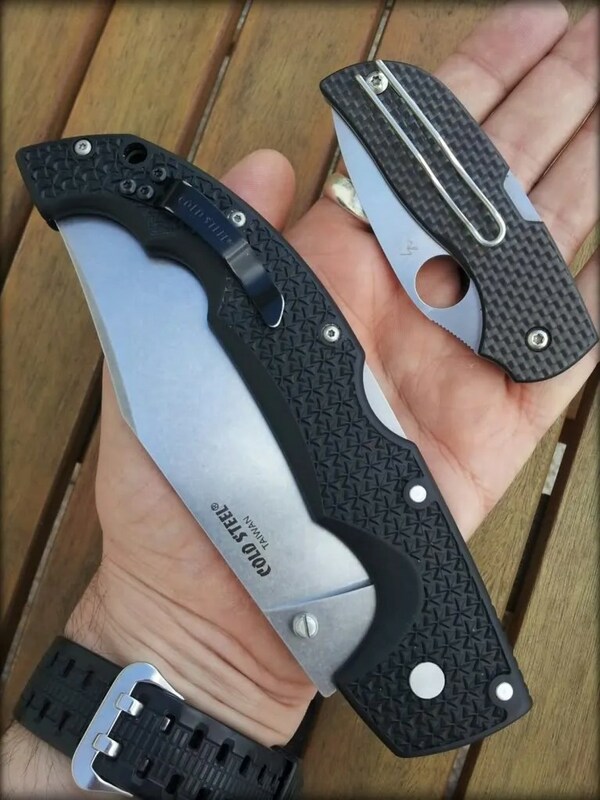 The edge on the Chaparral is a little thick for my test when the ZDP of the C22 is thin and hard. On hard plastic the Walker is even better than my Gayle Bradley and since I have been able to buy a safe queen, my first Walker will be used hard this year. On hard matters the Chaparral cannot compete with the Walker. I have deshouldered its edge a bit but it is not as aggressive as that C22. But for office task and EDC it is perfect. Also I’m certain someone gifted sharpeners like my friend JD or Tom Krein would easily turn their Chaparral into Vorpals. Overall the Chaparral is pure pleasure to operate. I use mine when I need a discreet companion at the office or in the city. You will forget it is clipped on you and will bring you a big grin when you will use it. Another great design with and incredible smooth and flat alternative. This is my Chaparral saluted by my two Walkers. Can you identified the safe queen? 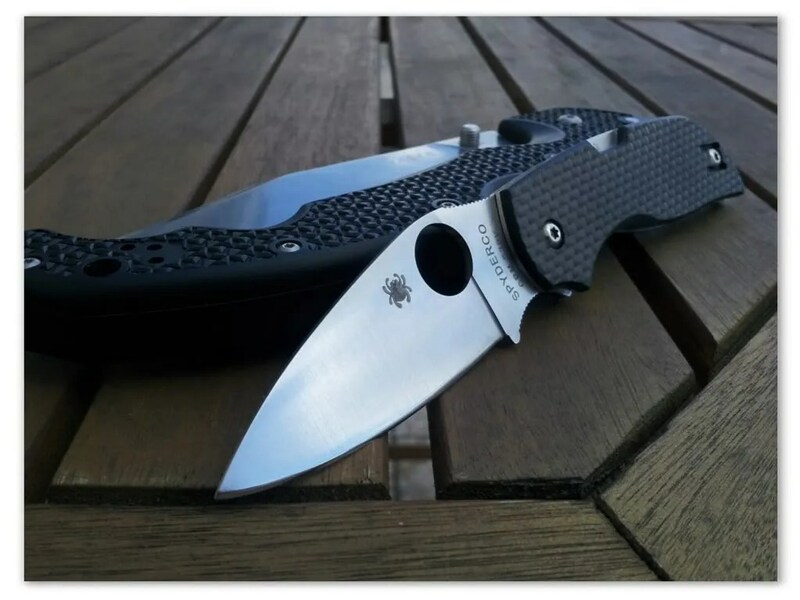 Posted on 15/03/2012 02/01/2018 Author nemosandmanCategories Folders, ReviewTags #edcknife, Carbon Fiber, Chaparral, CPM S30V, EDC, Lockback, Nemoknivesreview.com, Sal Glesser, Spyderco, Taiwan, test10 Comments on Spyderco Chaparral. – Gentleman extra flat companion.